Welcome to E&T Holiday Homes, a division of Edwards & Towers specializing in short-term and holiday rentals in Dubai. Bringing over 12 years of experience in Dubai holiday rentals, we pride ourselves on the high levels of customer satisfaction which ensures holidaymakers and short-term residents use us time and time again. We are the perfect partner for those who want a 5* holiday experience without having to pay expensive hotel room rates. 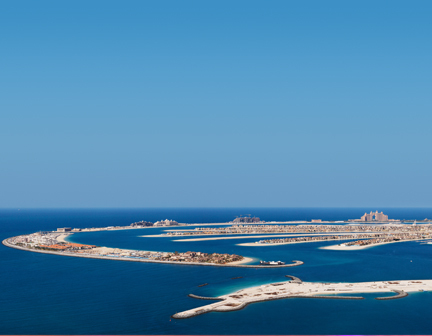 We have the widest range of luxury hotel apartments on the Palm Jumeirah and other areas of Dubai, and we can guarantee that we can find the perfect accommodation for you. With our headquarters located in Dubai Marina, and with an office on the world famous Palm Jumeirah, we are perfectly placed to help you at every point of your stay. With E&T Holiday Homes, we take away all the hassle of your stay so you can just concentrate on enjoying everything that the wonderful city of Dubai has to offer!! Following recent changes in the Department of Tourism and Commerce Marketing (DTCM) regulation, Edwards & Towers has been pre-approved as a licensed holiday home provider. We will shortly be taking bookings from holidaymakers for some of the most prestigious and exciting locations in Dubai. For more information, please contact Director Mark Kennedy.